Kerr Pumps improves its market shifting Frac 1 CONNECT fluid end design with threaded cover plates and hammer nuts to significantly reduce routine valve and seat maintenance times. The F1X provides the familiar threaded cover cap of the legacy style fluid end with an added fail-safe protection. The major problem this design solves is seized cover caps from broken threads. No more having to swing the head to try and torch or machine the threaded cap out of the fluid end. In the field, simply replace the bolt-on threaded hammer nut and resume pumping. The Frac One X was developed to bridge the gap until a longer lasting, 200+ hour valve is introduced. 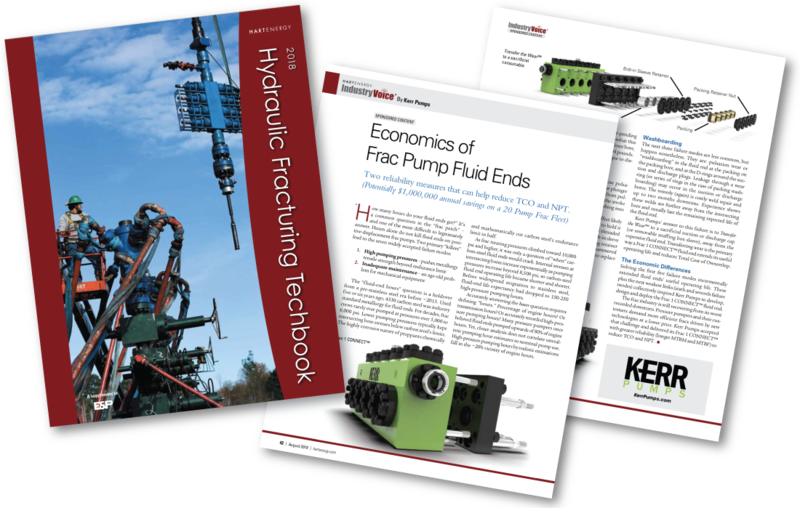 Frac One Connect by Kerr Pumps is featured in the 2018 E&P Magazine Hydraulic Fracturing Techbook. Kerr Pumps radically disrupts frac fluid end market with its two-piece, flangeless Frac 1 CONNECT. Kerr now gets two fluid ends from one standard size forging and cuts machining time in half by eliminating flange for 20% to 40% price reduction. 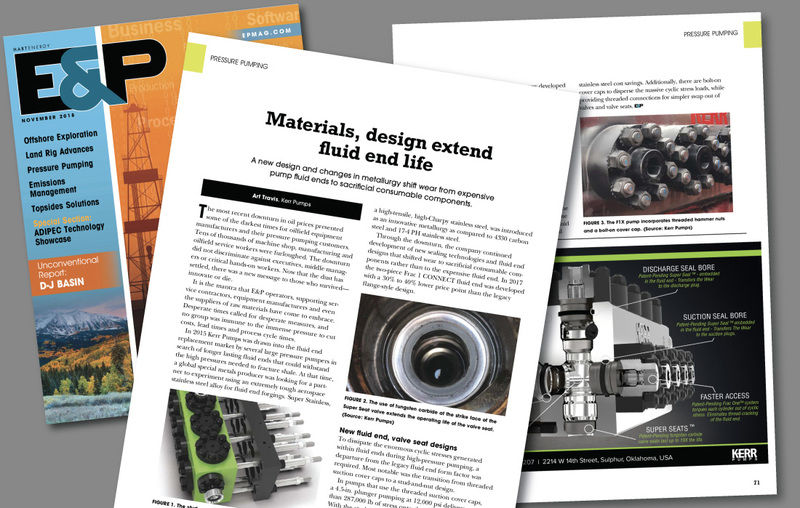 Company's Transfer the Wear design philosophy extends operating life and maintenance intervals to lower Total Cost of Ownership, Cost per Pumping Hour, and Non-Productive Time.